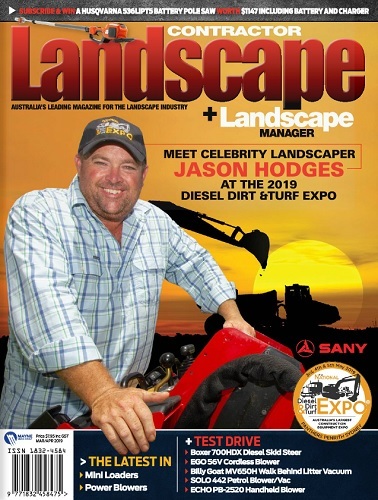 In the landscaping and building industry, having the right equipment can not only make jobs easier, it can also enable a company to expand its business and take on jobs it previously couldn’t. Looking to grow its services and capabilities in the industry, Rick Walter Homes decided to invest in a Vermeer mini skid steer loader. Rick Walters from Rick Walters Homes has been building quality homes for 35 years in Hervey Bay in Queensland’s Wide Bay-Burnett region. As well as building homes, the company provides other building services such as extensions, renovations, commercial and maintenance. After years of being in the building industry, Rick saw an opportunity to branch into landscaping, allowing him to offer more services to his home building clients, and take on jobs that had previously been outside of his capabilities. Trading under the banner Tuff Little Digga, Rick procured a Vermeer S925TX 35hp mini skid steer loader. 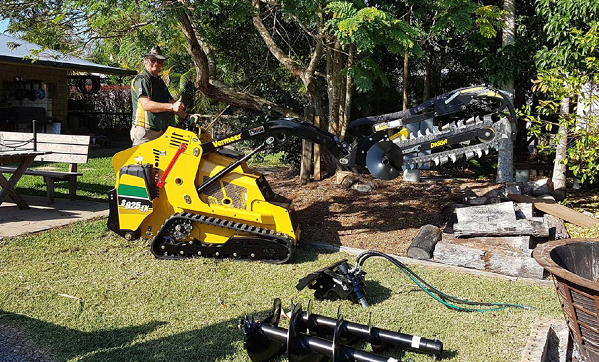 “The main reason for our Tuff Little Digga business is to make building jobs easier,” Rick said. Mini skid steer loaders offer landscapers, builders and other contractors the benefits of mechanical excavation in small spaces that would otherwise be inaccessible using traditional equipment. The variety of attachments available to be used with the machine also makes it very versatile, enabling it to complete a wide variety of tasks without the need for other machines. Rick said it was these features that led him to purchasing a mini skid steer loader, and his past experiences with this type of equipment meant choosing a Vermeer product was an easy decision. “Due to the experience gained watching and using this type of machinery over the last 35 years, it has been no trouble stepping in and operating the Vermeer S925TX mini skid steer loader,” Rick said. “In the past, we have hired other brand name machines, but found the controls on the Vermeer mini skid steer loader to be very easy to use and become familiar with. The machine also has plenty of power for our applications, both in building and landscaping. “The S925TX and implements supplied by Vermeer are a pleasure to use, with attachments like the NORM Engineering 4-in-1 bucket, Digga trencher, cement mixer, pothole augers, Digga bucket broom, and pallet forks. They all make for faster and more productive job applications. Rick said the support and advice he has received from the Vermeer sales team has been invaluable during and after the procurement process. “None of this would have been possible without the Vermeer area representative David Holec and the entire Vermeer team, from sales to parts and maintenance. Their advice and support has been invaluable,” Rick said.